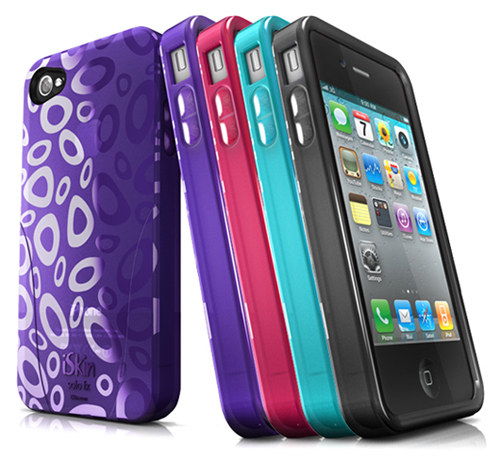 It's about time iSkin refreshes up one of their most popular iPhone 4 cases that has been ripped off by many cheap knockoff companies due to the successful design that iSkin has creates with the circular pattern and semi-transparent colors. iSkin has refreshed the old circular pattern Solo cases with a new, much more modern looking abstracted pattern with the Solo FX SE case made from the same semi-transparent TPU materials. The updated Solo FX SE case is compatible with both the AT&T and Verizon iPhone 4 and is available right now in 4 colors for $34.99.